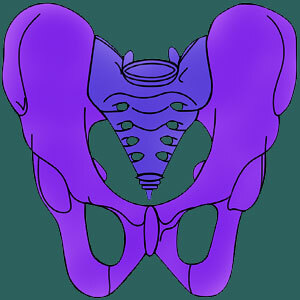 The sacroiliac joint binds the pelvic ilium to the sacrum and joins the legs into the torso. The SI is one of the strongest joints in the entire human body. However, the joint is still susceptible to injury, degeneration, diseases, infection and various soft tissue pathologies that might create pain or functional deficits. All this being said, we have witnessed a growing trend in medicine to blame the SI joint for creating symptoms, often when there is no verifiable evidence of any pathology being present. The SI joint now qualifies as one of the major scapegoats on which pain is blamed unfairly and incorrectly, especially in diagnosed cases of SI joint dysfunction involving ligamentous laxity or tension. In order to truly understand the often enigmatic condition of sacroiliac pain, it is crucial to first learn all about the joint itself. Therefore, this resource section focuses on the anatomy and functionality of the joint to help patients better comprehend its intended purpose and operation within the human body. We are often asked, “What is the sacroiliac joint?” The SI joint is one of the most important structures in the lower body, since it joins the legs into the torso and allows us to enjoy incredible athleticism and structural stability in movement. 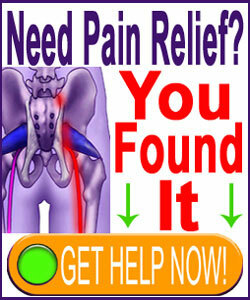 This website is devoted to educating patients all about the sacroiliac joint so that they can better understand their diagnosis and choose the best path towards treatment for any pain which might be present. The SI joint not only links the legs to the vertebral column, but also continuously limits their movements for improved structural stability in an upright posture. The sacroiliac changes in appearance throughout life, beginning with very smooth joint surfaces in childhood, allowing for fluid movement within the joint and progressively roughening with the passage of time, restricting movement within the joint and providing more structural strength. The various soft tissues involved in bonding the pelvis and the sacrum also interact with many other key tissues, including major nerves, blood vessels and a range of soft tissues that compose the pelvic region. The SI joint is composed of bony surfaces of the pelvis and the sacrum which meet in a series of interlocking ridges. The joint is surrounded by connective ligaments and muscular attachments (35 muscles, in fact) that help to stabilize the joint and distribute force between the legs and the spine. The shape and natural design of the joint makes it one of the strongest in the human body. The anterior sacroiliac ligament is the primary binding tissue at the front of the frontier joining the pelvis and the sacral spine. This ligament is rather thin and not very strong in comparison to the other SIJ ligaments. The posterior sacroiliac ligament provides the second most important binding element between the sacrum and the pelvis and is located in the rear of the body at the frontier between the two structures. The sacrotuberous ligament is intermingled with the posterior SIJ ligament and further stabilizes the joint. This ligament is often implicated in compressing the pudendal nerve and creating symptoms. Sacrospinous ligament stabilizes specific motions of the SI joint and is also commonly implicated in creating sciatic nerve compression, since it defines the foramen through which the sciatic nerve travels. The SI joint ages and degenerates like all anatomical tissues. Arthritis will occur as a normal part of getting older and is usually present by the age of 40, if not sooner. Ligamentous changes are also commonly seen, with increased laxity or increased tension both being commonplace. Women seem more disposed towards symptomatic laxity issues, since they are exposed to relaxin hormones during pregnancy and, to a lesser degree, during their monthly periods. This hormone is directly responsible for increasing the movement of the sacroiliac joint, which sometimes becomes abnormally lax as a result. Pain conditions might be motivated by skeletal issues in the joint, soft tissue issues within the joint or functional issues caused by either possibility which affect joint movement and/or stability. In our experience, a significant percentage of SI joint diagnoses are incorrect and blame symptoms on incidental and normal changes found in the joint structure. Since diagnostic practices are usually inconclusive and do not provide much, if any, objective evidence of pathology, the SI is one of the regions that act as scapegoats for regional pain. To learn more, please continue onwards to study our sacroiliitis resource section.